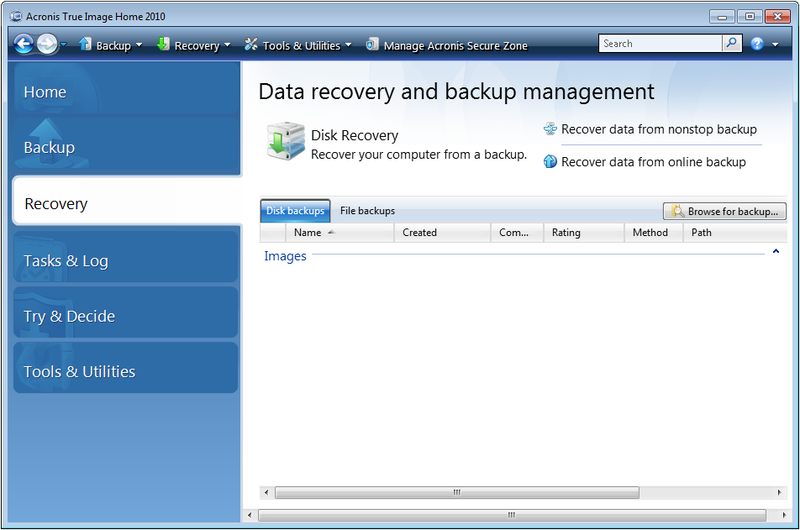 Acronis True Image Home 2010 keeps a database of the created backup archives and their location on the machine. 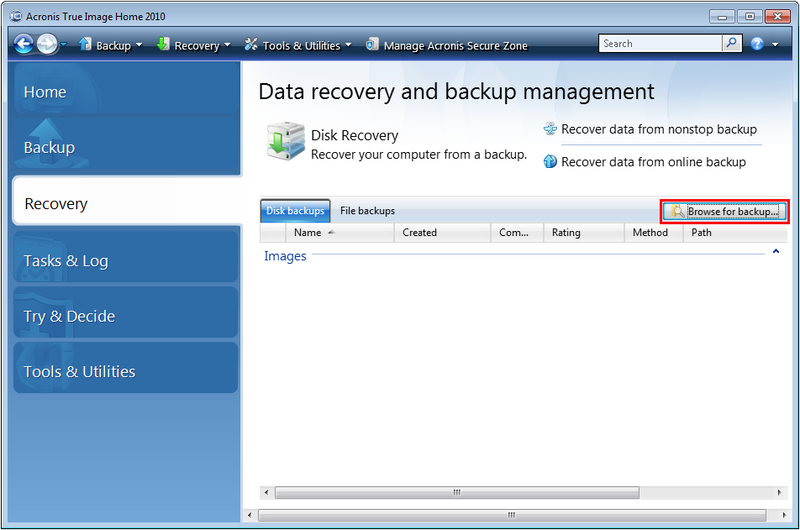 When you start Acronis True Image Home 2010, it refers to this database to display the available backup archives. Partitions from Acronis Bootable Media may have drive letters different from Windows. See Acronis Bootable Media displays wrong drive letters. When you create an incremental backup from Acronis Bootable Media, the product changes the drive letter of the location where the full backup is stored to the one as recognized by Windows. You create an incremental backup to the full one, which according to the Acronis Bootable Media is stored on F:. The product changes the backup location in the archive.xml file to F:. After booting back to Windows, the product refers to the archive.xml file to display the available backup and points to the F: partition. However, there are no backups on the F: partition or this partition does not exist. And point the product to the backup location. The drive letter in the archive.xml file will be changed to the one as detected by Windows. See also Moving or Renaming Acronis True Image Home 2010 Backups.